Continuum 2004, v. I, Ch. 28, p. 455, 466, 467 and passim. * This reference in p. 467-68. I. Title: it is a quotation from the Joycean corresponding episode used here to stress emphatically the milieu, the concept, sometimes even the style. II. Passage: a teaser, normally extracted from the first pages of the original, to give the reader a quick flavour of the book. III. Plot: the map of the episode; it includes its standard components that is Time, Place and Personae involved, as well as an extended Synopsis of it, an accurate summary of the plot. IV. Odyssey: under this heading the reader finds in detail the references, both implicit and direct, to the Homeric original as well as a thorough comparison of both texts more specifically in terms of style than in content. V. Ulysses: this section, the core of A.M.'s research in every chapter, attempts an in depth literary analysis of the corresponding Joycean episode. It is divided into further sub-sections so that the joycean text may be re-read and understood through fresh angles and perspectives (textual, poetical, psychological, philosophical, linguistic, grammatical etc). VI. Technique: Since each episode of Ulysses, as far as style is concerned, demands almost to be read as an independent novel, and since most novelties which engendered modernism in 20th century literature were in one or another way first detected in that book, at this point the specific technique Joyce elaborated in each episode is explained in detail. VII. Passage: another meaningful excerpt ends the chapter. In most cases it comes from the final pages of the corresponding episode. VIII. Notes and Comments: Bibliographical and philological addenda, documentation and explanations for the literary propositions etc. 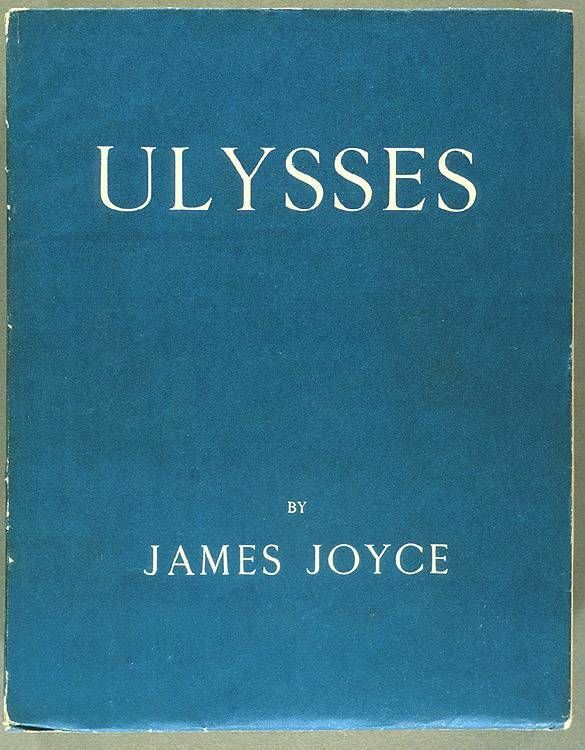 "Ulysses", a reader's guide includes a thorough Introduction (mapping the various possible readings of Ulysses) and three reference Appendixes: I. 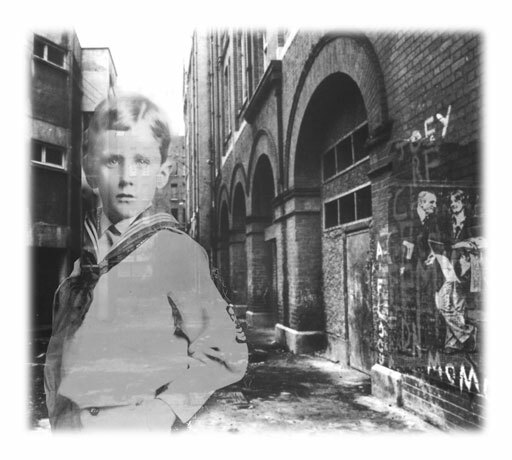 A Chronology of Joyce’s Life, II. A Further Reading Bibliography, III. An Index. You may download the Introduction chapter below. Covers of the three different editions of '''Ulysses', A Reader's Guide''. The author has put a serious effort to read the original primarily through its own gates of perception, which means that the various interpretation theories when they are called upon to support the study they do it on a second, less theoretical and less apparent, for the general reader, level. The author has tried wherever possible to prove the authority of his suggestions by remitting persistently the reader to the text. None the less the whole volume is informed by current debates about literature and literary research demonstrating the central place occupied by Joyce ’s achievement in those debates. One of the aims of this Companion Guide is to re-examine with a fresh eye most controversial topics about Ulysses. But the main intention has been to dispel the intimidation readers often feel when faced with Joyce ’s reputation as an arcane and difficult writer. Avoiding to simplify the multifaceted qualities of the Joycean writing the book tries to enhance and enrich the reader’s appreciation and enjoyment of the original. To get a better idea about this book one may download here the Scylla & Charybdis and the Cyclopes chapters which correspond to respective episodes of the original. Aris M. in Dublin, 1984. 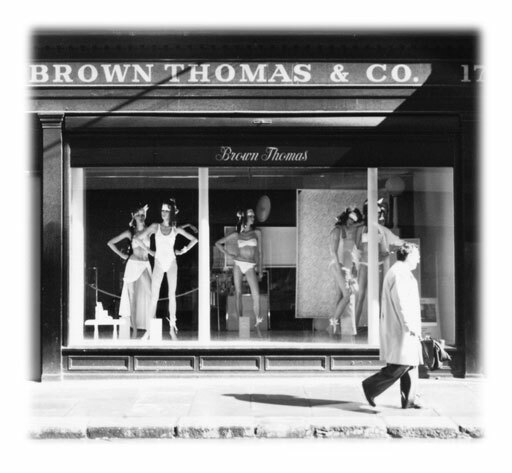 The author in Dublin (during one of his first trips to Ireland) in front of the famous windows of Brown Thomas (circa 1984). He passed, dallying the windows of Brown Thomas, silk mercers. Cascades of ribbons. Flimsy china silks. A tilted urn poured from its mouth a flood of bloodhued poplin: lustrous blood... Gleaming silks, petticoats on slim brass rails, rays of flat silk stockings... High voices. Sunwarm silk. Jingling harnesses. All for a woman, home and houses, silk webs, silver, rich fruits, spicy from Jaffa. Agendath Netaim. Wealth of the world. A warm human plumpness settled down on his brain. His brain yielded. Perfume of embraces all him assailed. With hungered flesh obscurely, he mutely craved to adore (Ulysses, 8th episode). 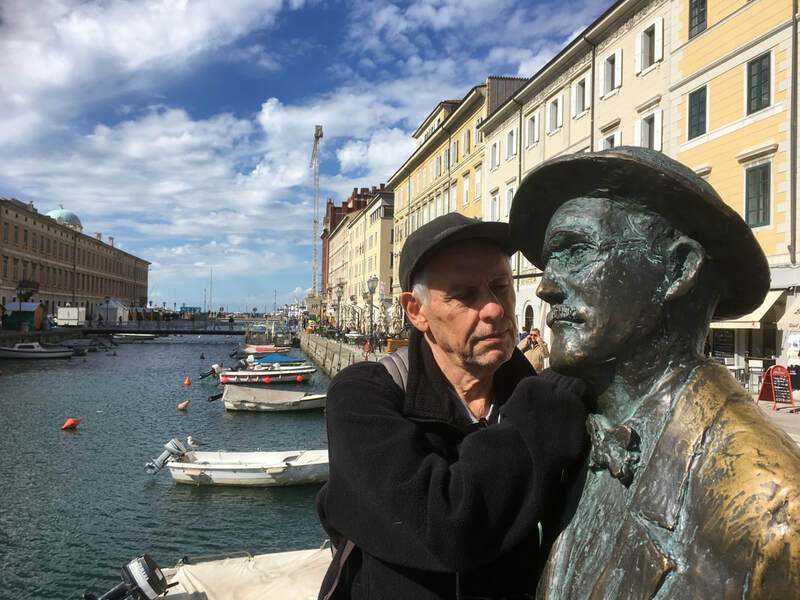 Aris M. in Trieste, 2017. Τhe author in Trieste (via Roma 16, in front of the Canal Grande) next to Joyce's statue, a work by the Trieste-born sculptor Nino Spagnoli, which was erected on the bridge in 2004 to celebrate the 100th anniversary of Joyce's arrival in Trieste. The old (1994) and new (2018) 'Giacomo Joyce', cover. 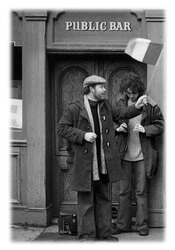 Giacomo Joyce, a posthumous enigmatic prose poem of Joyce, was first published by professor Richard Ellmann in 1968. A.M. has understood the translation of this book into Greek as an opportunity to comment on the Greek reception of Joyce. So in the first Greek version of Giacomo Joyce, translated by A.M. in 1994, had been inserted a lengthy essay Who reads James Joyce? The original English text accompanied by enlightening comments and notes had been also included in the book. This work, produced two years before the first edition of 'Ulysses', a Reader's Guide, introduced A.M. as a Joycean scholar to the Greek reading public. 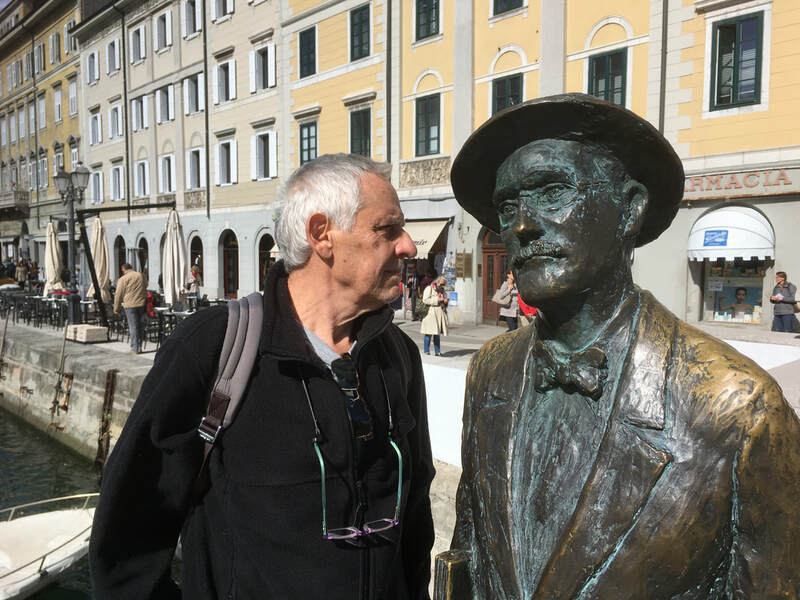 Giacomo Joyce, in a totally revised translation, with a new introduction ("Mr James Joyce and Mr Jacopo Zois") with fresh comments to the text based on recent bibliography and research is published again in a new edition by Topos books on May 2018. 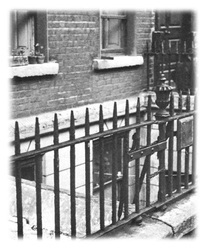 Though Dear Dirty Dublin is a famous quote that first appeared in Dubliners, A.M.'s book bearing that title is a pictorial study of Ulysses. 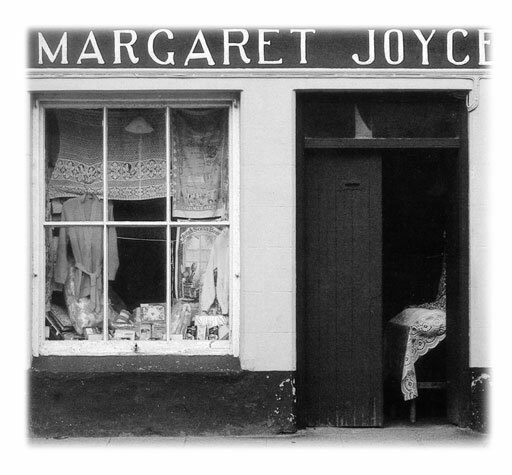 * Following the strict structure of Ulysses, the book is composed of an equal number of chapters where black and white photos highlight facets of the novel. Short passages from Ulysses, translated by A.M., add to the reader 's enjoyment as they underline in harmony with each photo the concept and the beauty of the quoted text. In this way the reader of Dear Dirty Dublin, even by flipping through the pages, enters picture after picture into the realm of the complicate Joycean topography. And by reading the selected passages he savors the beauty and the power of the original language. A.M. 's book is not meant as a pictorial guide to Dublin; it is more an exegetical guide to the labyrinth of Ulysses. The photos below, excerpts from this book, stand as a proof to this statement. The book was published two years after the first edition of Ulysses, a Reader's Guide, in 1997. * In Dubliners the phrase is attributed to a certain reporter named Ignatius Gallagher (in the story: 'A little cloud'). The event is then re-worked magnificently in Ulysses (the 7th episode).